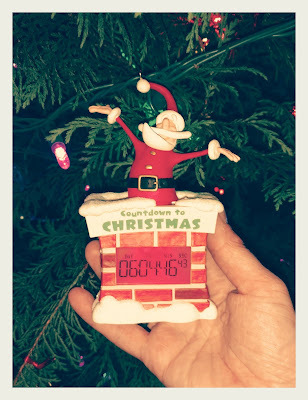 This dang Santa countdown clock is driving me crazy. It lurks in our living room telling me, "You will never get it all done. Ho Ho Ho!" 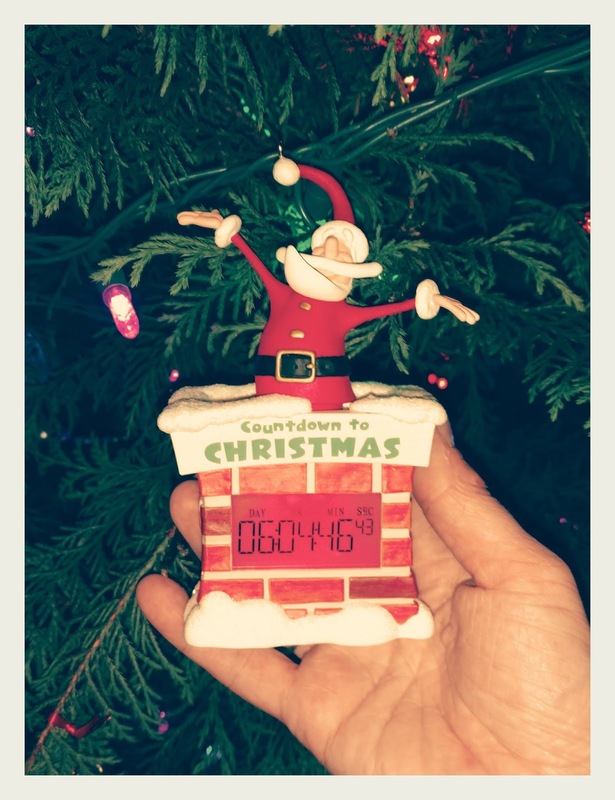 Seriously, I just got finished submitting my grades for the course I was teaching, stayed up half the night grading finals and projects, only to realize that it is now magically six days until Christmas. This means I will now be fore-fitting lunch breaks to finish that which I have not done yet. Which is basically EVERYTHING. I am pretty sure that I can't breathe. No really...OK, maybe I just am breaking out in hives. Now, if you are one of those super-put-together-I-finished-shopping-before-Thanksgiving-Moms, GOOD FOR YOU. You can go back to Pinterest and making a mess out of your house with the shenanigans that your Elf on the Shelf is getting in to. Our elf has been stuck in the same spot for the past five days. I am over here just trying to not let one more ball drop. It has been one of the most hectic past couple of months in my life, and what I really need is probably a good dose of Christmas cheer. Work, family, our country, the WORLD....it all seems a little overwhelming right about now. HOWEVER, what ALWAYS works for my kids (and me!) is some quiet time reading books. 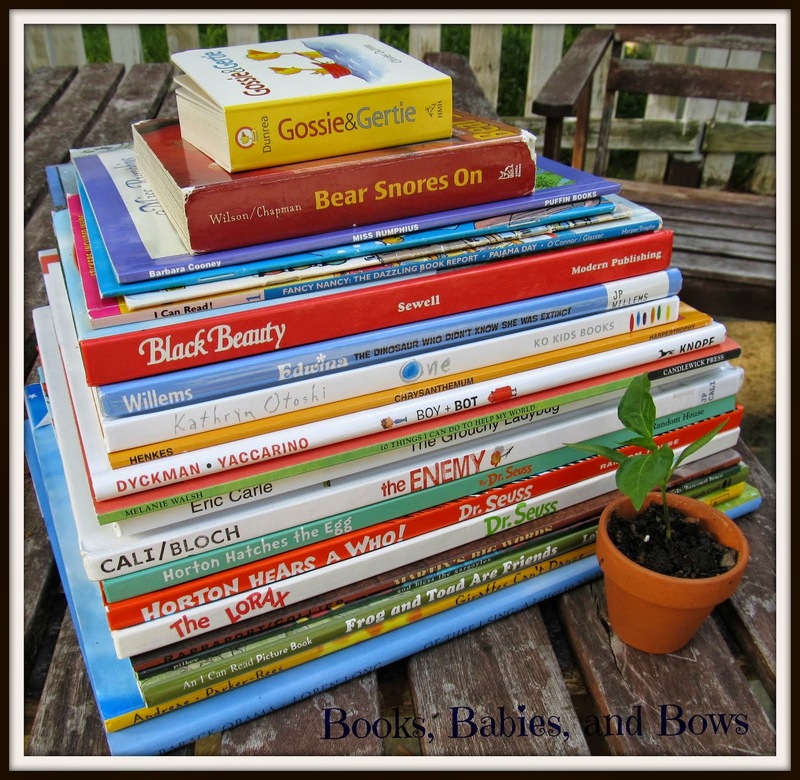 Enter BOOKROO book subscription service! I was lucky enough to receive a Bookroo box earlier this month. We had just gotten home from a hectic trip to see family where we experienced major delays at the airport and a few other mishaps along the way. Can I just say seeing the beautiful turquoise box on our front steps when we got home was like a warm kangaroo hug? Wait, do kangaroos hug? I don't know, but I am going with it. 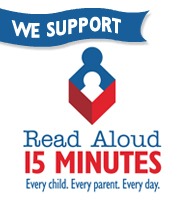 WHY DO I LOVE LOVE LOVE BOOKROO? (I mean I just used all caps, and I HATE all caps under normal circumstances). Inside were two magically wrapped, beautiful hardcover children's books for my kids to read. 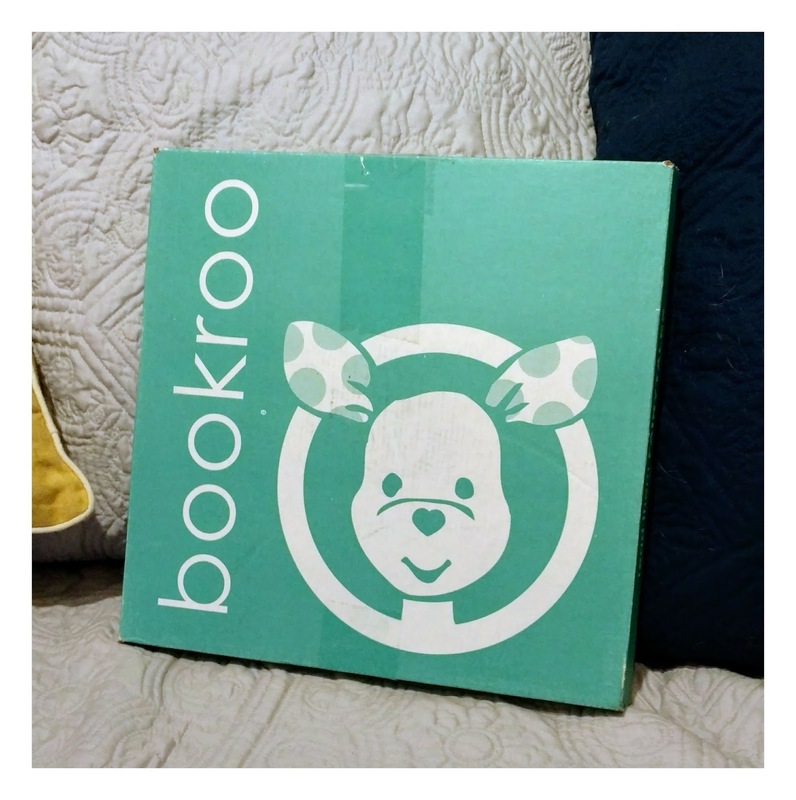 Of all the Bookroo boxes I have gotten, I have NEVER received a book we already had, which is impressive since we have probably over 1000 children's books in our house. Even our dog doesn't TOTALLY mind Little J reading him a book about a fluffy cat. Well, maybe he is a little put off by the book, but Piggie and Gerald seem amused. 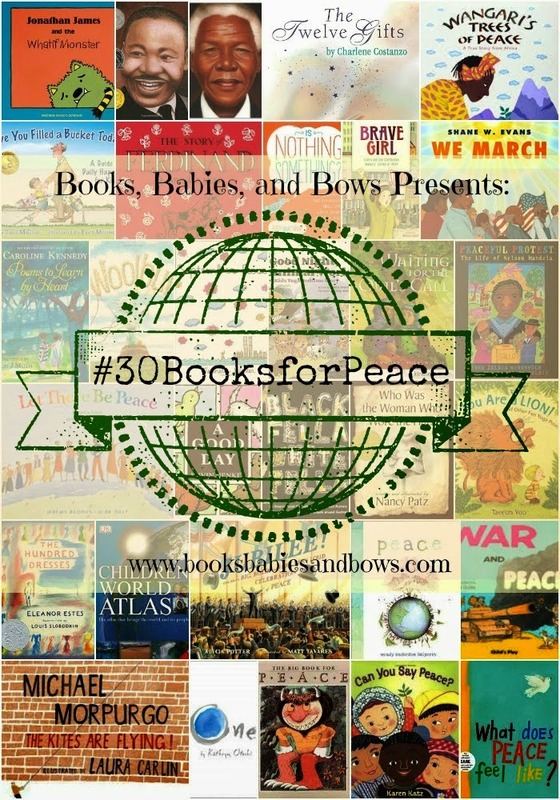 But, the real reason I love Bookroo is because it is the perfect gift for literally any child. I mean I cannot think of a reason not to give this subscription as a gift. In fact, I bought a three month subscription for my brother's kid. I wish I could share the pictures my brother sent me of his kid opening up the books. There is this look of pure joy on his face that is priceless. His kid's birthday is in January- so I got the birthday covered, too. 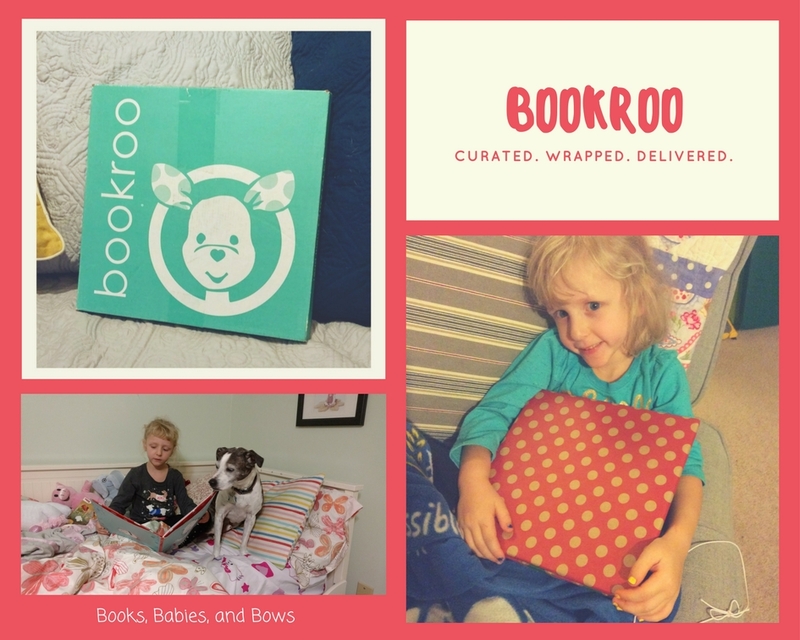 Gifting a Bookroo box is also nice because you can do it at the last minute, and then you can give them a card or send them an email telling them about the gift. Because lets face it, one of the toughest thing is when the holidays are over, and all the packages have been opened. You can't tell me you don't remember being a little bummed as a child when you knew there were no more presents to open up? Well, with Bookroo, your little giftee will get mail! What could be better? I really cannot think of a single thing. 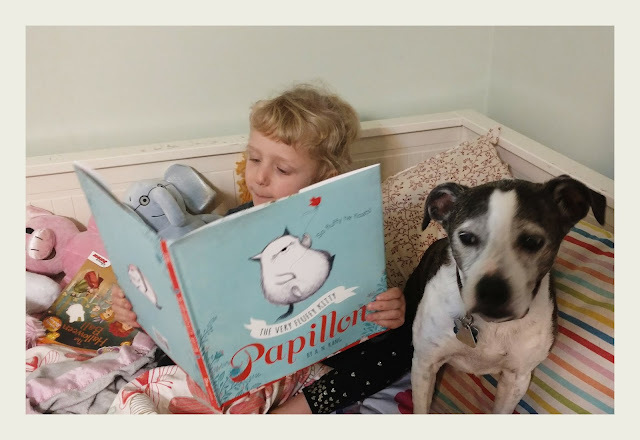 So for all you last minute shoppers out there- consider checking out bookroo.com and sending children's books to all the little readers in your life. FTC Disclosure: Thank you Bookroo for sending me a Bookroo box exchange for a fair and honest review. Thanks for your support!